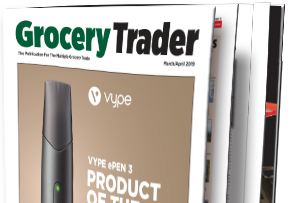 Welcome to the July/August Grocery Trader. What a summer! The combination of the continuing heatwave and euphoria over England reaching the World Cup semis has sent consumer spending surging, but pushed supply chains to the max. 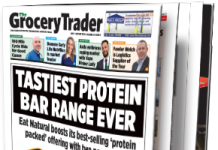 On our front cover Eat Natural report the market for proteinenriched cereal bars has grown 82% in the last year, with more people getting active or trying to live healthier lives. 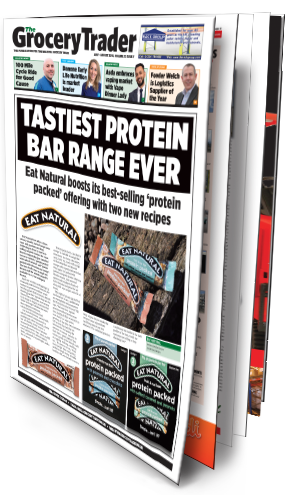 Eat Natural’s original ‘protein packed’ bar launched in 2015 and is now joined by two new variants, salt and caramel and chocolate and orange. 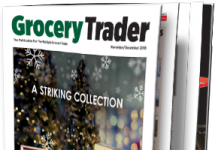 As our Back of Store feature points out, England’s World Cup success has been great for the country’s morale but suppliers and retailers have had to work to keep up. Another supply chain stress was the recent CO2 shortage, which led to availability worries about carbonated drinks and C02-stunned meat. 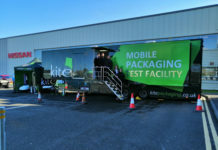 For next time, how do you keep your warehouse space usage flexible yet make it work for you? 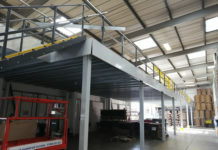 One answer is warehousing ondemand, finding short-term warehouse space with specialist databases. In our Baby & Kids feature Mothercare closing 60 stores is the latest confirmation of shoppers turning to the Internet for non-food shopping. 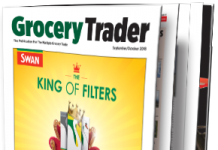 Roz Davies, Head of Category Development at Danone Early Life Nutrition says today’s mums are still buying Cow & Gate baby jars, like their mums and grannies but demand more time with their little ones and online is the way to go for the kit they need. Older kids are the stars in our Back To School feature. 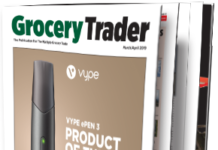 The new school year presents a strong sales opportunity for retailers as school kids and college students come in to pick up drinks, snacks and convenience food items in their daily routine. Displays targeting these habitual shoppers offer the ideal means to showcase offers and new products and drive sales any time of day. 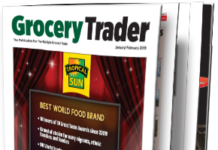 The World Food aisles aren’t the daunting places they once were for Brit shoppers, thanks to the likes of Jamie Oliver, Gordon Ramsay and the Hairy Bikers, whose recipes are now just a mouse click away. As Sally Campbell at Geeta’s says, the ongoing world food revolution has led to a broadening of our classic three meals a day pattern, with informal dining, sharing plates, small plates, street food and eating away from home all growing in popularity. 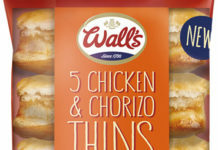 Brit consumers are also waking up to world food being healthy as well as tasty. Finally in our Quote Unquote feature Durham Distillery’s founder Jon Chadwick has been learning Japanese before holidaying in Japan. With the craft distillery set on producing the Northeast’s first whisky and given Japan’s famous love of whisky, it won’t be long before Durham Distillery are exporting their malts to Japan along with their gins and vodkas. Have a good summer!